Picture the late great Elizabeth Taylor in one of her most famous roles, that of the Egyptian queen Cleopatra. Beneath the heavy make-up needed to create the illusion, Liz was a natural beauty. She, nevertheless, relied on cosmetics and beauty products to maintain her appearance just as Cleopatra did many hundreds of years earlier. Cleopatra lived in a very hot climate under a sun that would undoubtedly have made her skin dry and wrinkled very quickly had she not taken great care of herself. Like other wealthy women of this period and region her beauty regime would have included generous amounts of honey. Although she wouldn’t have known why, today we know that honey helps the skin to retain moisture thus keeping it smooth and youthful. Greek physician Hippocrates, who is generally considered to be the father of modern medicine, regarded honey as an antiseptic and good for the skin and over two thousand years later that advice is still good. The best honey to use in beauty treatments, especially when applying it to your skin, is organic honey that is free from any additives. Research suggests that Active Manuka honey from New Zealand is particularly beneficial because of its higher than usual antibacterial properties but any pure honey can be used. These are simple remedies to make at home using ingredients found easily. Unlike many of the commercial skin treatments they contain no artificial additives or harsh chemicals and can be used regularly. Make a paste from 1 tablespoon honey and some dried milk powder. Apply to the face and rinse off with warm water. Pat dry. Mix 1 tablespoon honey with 2 tablespoons ground almonds. Stir in half a teaspoon of lemon juice. Apply the paste to the face and rub gently. Rinse off with warm water and pat dry. Mix together equal amounts of honey and natural yogurt. Apply to the face and leave on for 15 minutes. Rinse off with warm water and pat dry. Whizz a piece of orange peel with a tablespoon of honey in a blender. Apply to the face. Leave on for about 15 minutes then rinse off with warm water and pat dry. Take 4 fl oz honey and mix well with 2 fl oz olive oil. Apply to hair and massage in. Wrap your head in a warm towel and sit back and relax for 20 – 30 minutes. Wash as normal. Peel and stone a medium-sized avocado and blend or mash with 2 tablespoons of honey. Apply to your hair and massage in. Wrap your head in a warm towel and relax for 15 minutes. Wash as normal. 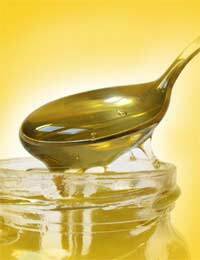 Mix together a teaspoon of honey with a teaspoon of olive oil and a dash of lemon juice. Apply and rub it to affected areas. Leave the lotion of for about 10 minutes and then rinse off with warm water. For a luxurious bath that will soften and detoxify your skin, simply add a good dollop – about a quarter of a cupful – of honey to your bath water. Or make your own version of Cleo’s milk and honey bath by combining half a cup of honey with half a cup of powdered milk and half a cup of olive oil. Mix well and add to your bath water. This will leave your skin soft and freshly-scented. If, however, you prefer you can add a teaspoon of an essential oil to the bath as well. Rose, ylang ylang or lavender all work well. Bicarbonate of soda and sea salts also both work as skin softeners and can be added too. Was Cleopatra Really a Beauty? In spite of the image that most of us have of Cleopatra, due partly but not solely to Elizabeth Taylor’s portrayal, latest evidence suggests that she was not a classical beauty. She probably had rolls of fat around her neck and a large nose yet she is written about in manuscripts from the time as being ‘a woman of surpassing beauty’. Her beauty was obviously greater than skin deep and her allure not merely physical. Maybe she not only applied honey to her skin but allowed its sweetness to penetrate her being and perhaps that is the best beauty advice of all.